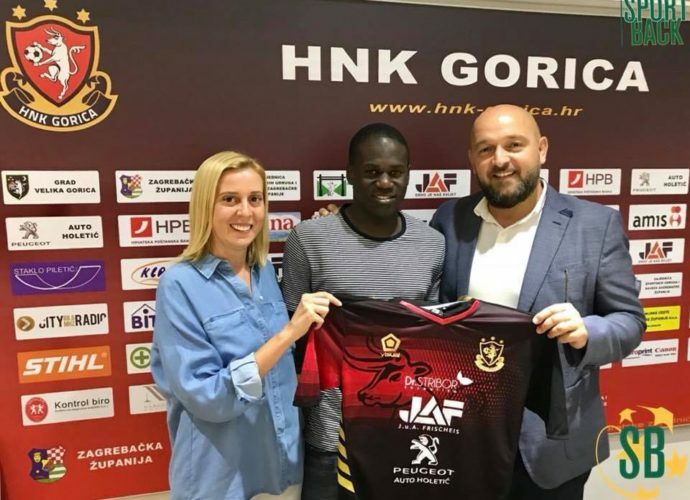 Uganda Cranes forward Farouk Miya has completed a move to Croatian top tier side HNK Gorcia. The former Vipers SC star player has signed a two year deal at HNK that will see him at the Croatian club until 2020. Miya left the Standard Liege camp earlier this week for Zagreb in company of his intermediary to go seal the deal which he did yesterday. Since leaving Vipers SC in 2016 after the CECAFA Senior Challenge cup, Miya has had a frustrating stay at Belgium giants Standard Liege which has seen him loaned out to different clubs. In 2017, he was loaned out to Belgium top tier side Royal Excel Mouscron for whom he played only four league games and did not score a single goal. In the January transfer window of this year, he was once again loaned out by Standard Liege, this time to Azerbaijan side Sabail FK. At Sabail, the 20 year old seemed to have found a new home, featuring in 13 league games and scoring two goals in the process. The move to HNK is something that Miya would have been looking out for when he joined Sabail as a good performance in the Azerbaijan league would enable him get a better European club. However, it remains to be seen whether the man who scored Uganda’s only goal at the 2015 AFCON tournament can regain the form that saw him transferred from Vipers to Standard Liege in 2016.